My name is Keith Cleversley and botanicals have been a passion of mine for close to 20 years now. My work in exotic botanicals in the early 2000’s led me down a path I never imagined for myself, but one I couldn’t imagine not being on now! 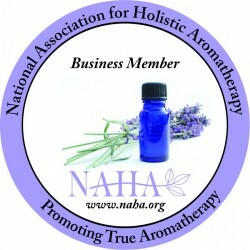 I’m a professional member of the National Association for Holistic Aromatherapy and began working towards a masters in Herbalism in 2014. I’m also a member of the American Botanical Council, where I have gained an immense amount of knowledge regarding plants and herbs. I purchased Essential Oil Exchange and Florapathics from Michael Thompson; an Alchemist and Master Herbalist. My vision for the website, its infrastructure, mission, and goals have not changed. In fact, with Michael’s extraordinary formulations, combined with my botanical experience and sources for therapeutic grade botanicals and essential oils, taking on EOX seemed like a dream come true. And it truly has been! In the United States and around the world, I believe there are enough essential oil people where we can create something equally amazing with a shared vision. So, here’s the vision: Essential Oil Exchange! A member-driven wholesale direct marketplace for individuals, crafters, and small businesses that want 100% pure, high-quality, truly therapeutic-grade essential oils at co-op prices! Anyone can shop retail at the EOX, but what really makes us different is the deeply discounted, wholesale-direct prices and benefits for those that join Essential Oils Exchange as Monthly Members. We are also very proud of the fact that every one of our essential oils comes with a downloadable Certificate of Analysis, so you can see exactly what is in your food grade essential oil, including where it’s sourced from. Sure, many people will just take the lower retail prices that the exchange can offer and that’s okay…it’s part of the vision. But, I do think there are enough people out there who are dedicated to using essential oils, whether for personal use or business, that will want to be a part of something unique that can be greater than the status quo. I feel that essential oils still have a lot more to contribute to the health and wellness of the world. My vision is to create a system that supports quality producers while delivering the highest quality materials at ever-improving prices due to greater purchasing reach and simple, streamlined operations. I cannot imagine living in a world without essential oils: They are among Nature’s most amazing gifts. Help me get the word out as we explore essential oils together at EOX’s virtual co-op. I am here to answer questions, as is my expertly qualified staff. As of this writing, as mentioned earlier, I am currently enrolled in an accredited Aromatherapy course to supplement an already vast storehouse of botanical knowledge and experience because something I dream of is sharing with others who feel as connected to the healing power of plants and the oils derived from them as I do.